We believe our teachers are some of the best around. From Linda and Punky that lead the way and guide students through their CS#1 experience, to the many talented individuals that assist in the classroom and teach enrichment classes in their areas of expertise, we've assembled quite a team. 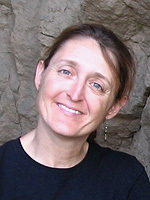 Linda Powers is the director and lead teacher of Community School #1. Primarily teaching Math, Literacy and Social Studies, she infuses her classroom with great warmth, humor, and high expectations. She also sets high standards for student behavior and academics while recognizing the unique talents, needs, and individuality of each of her students. Linda has been a classroom teacher since 1992, and began her teaching career in the Shawnee Mission School District. It was during this time that she became acquainted with Private School #1 (PS #1)/ Community School #1 (CS#1) and its directors, Punky Thomas and Rebecca Winter. Eventually Linda took over as the director at CS#1, and has been the steady hand that leads the ship for over 10 years. Linda has a Bachelor's of Science in Social Welfare from the University of Kansas where she served as a child advocate in a domestic abuse shelter. She additionally has a Bachelor's of Science in Education from Pittsburg State University and is currently working toward her Masters in Special Education with an endorsement in Gifted Education from Fort Hays State University. Punky Beasley Thomas returns to CS#1 after raising her own children, supervising student teachers for UMKC and tutoring adults and children at a medical clinic. Punky inherited Johnathan’s Place, the school’s first incarnation, from Pat and Marshall Martin in 1981 and changed the name to P.S.1 Elementary. Punky ran the school until the summer of 1998. Punky earned a B.A. (Elementary Education with emphasis in Social Studies and Art) from The University of Iowa in 1975 after student teaching in Kansas City as part of the Cooperative Urban Teacher Education (C.U.T.E.) Program. Punky received a Master’s Degree in Education at UMKC in 1981. In 1989, Punky received an Excellence in Teaching Award, sponsored by The Kansas City Star and The Learning Exchange. Over the years, Punky and her students have worked with various architectural, historical, and environmental groups including Kansas City Architectural Foundation, Center for Understanding the Built Environment, Historic Kansas City Foundation, and Heartland All Species. Punky brings years of experience and wisdom to CS#1. She is delighted to be part of the team and able to return to what she feels is a wonderful learning environment for children! Harlan Brownlee understands the transformational power that the arts have to improve the quality of life for individuals and the community. He possesses a passion for the arts guided by a disciplined approach to change. Brownlee has worked for thirty-three years in the arts education field as a performing artist, educator, and arts administrator. He is the Chief Executive Officer for the Kansas City Friends of Alvin Ailey (KCFAA). KCFAA makes dance accessible to all people, teaching young people critical life skills through dance, and modeling interracial and multi-cultural community partnerships. From 2009 to 2015 he led ArtsKC - Regional Arts Council as the President and CEO, developing community partnerships dedicated to insuring access to the arts and cultural development for the region. From 2005 to 2009, he served as the Executive Director for Kansas City Young Audiences, a non-profit dedicated to engaging all youth in the arts, promoting creativity, and inspiring success in education. Mr. Brownlee is on the Kennedy Center’s National touring roster for the Partners in Education program and has conducted master classes, workshops and residencies extensively in the Midwest and throughout the United States. In addition, he has designed and implemented hundreds of lesson plans over 33 years instructing a weekly class at Community School #1 that integrates dance and movement into the general curriculum with an emphasis on the subject areas of science and literacy. 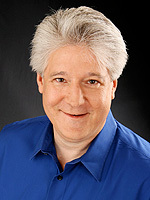 Harlan has been an adjunct professor for Rockhurst University’s School of Education and the University of Missouri – Kansas City’s School of Education. Harlan served as a consultant for the Missouri Department of Elementary and Secondary Education and as a member of the Fine Arts Task Force. Mr. Brownlee received his B.F.A. from the University of Wisconsin-Milwaukee where he was educated as a dancer and choreographer. His performance background includes work for thirteen years as one of the Artistic Co-Directors with City in Motion Dance Theater in Kansas City, Missouri. Mr. Brownlee received his M.A. in Educational Research and Psychology from the University of Missouri - Kansas City. He has served on the NP Connect and Community School #1 boards as well as the Regional Vice-President for the Missouri Citizens for the Arts (MCA) and the Past-President of the Missouri Dance Educators Organization (MDEO). Past board service also includes the Kansas City School of the Arts (KCSA), the Missouri Alliance for Arts Education (MAAE), the Missouri Association of Community Arts Agencies (MACAA), and a past Associate Editor for the Teaching Artist Journal. arlan’s wife is Linda Putthoff, owner of Plaza Wellspring. Together they share their passion for dance having met first at City in Motion Dance Theater. They reside in Kansas City, Missouri and have three daughters, Samantha, Leah, and Amber, and two grandchildren Vincent and Donna. Linda Putthoff teaches Yoga one day a week at CS #1, bringing her own unique experiences and depth of training to her work at the school. Through the years, she has seen all three of her children benefit from the very special teaching practices and community environment at CS #1. 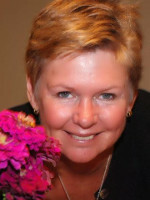 Linda has taught dance and yoga in Kansas City since 1986. From 1988 through 1998, she worked with City in Motion Dance Theater as a company dancer and instructor. During her years with City in Motion, she also taught dance in the Kansas City, Missouri school district in their after school program, and worked with Kansas City Young Audiences. Linda is currently the director of Plaza Wellspring, a center for movement and healing arts founded in 2005, where she teaches yoga and therapeutic pilates. Linda brings joy to her teaching, and hopes to instill in her students a love for movement and an appreciation for how special and unique each person is. Anthony Rodgers holds degrees from Truman State University (B.M.) and the UMKC Conservatory of Music and Dance (M.M. ), where he also pursued an Artist’s Certificate and a Master’s degree in musicology. While at UMKC, he worked in the Music/Media Library, where he shelved books and answered tricky reference questions. As a recipient of a doctoral fellowship, Anthony studied at the University of British Columbia in Vancouver, British Columbia, where he further developed his fondness of twentieth-century compositions and sushi. A passionate Germanophile, Anthony has traveled extensively in Germany, performing at the 2011 Lätzsch Trombone Festival in Heek and studying language at the Goethe-Institut in Heidelberg during the summer of 2012. With his love of travel, he has served as a staff member for the International Trombone Festival in several locations, including Salt Lake City; Nashville; Paris, France; Valencia, Spain; and recently New York City. He is a member of the award-winning Fountain City Brass Band, Kansas City's premier British-style brass band, in addition to teaching privately and working as a freelance musician in the greater Kansas City area. In 2017, Anthony won first prize in the Adult Slow Melody category at the North American Brass Band Association Solo Competition. With his spare time, Anthony enjoys binging on Netflix, reading, and spending quality time with his friends’ pets. Samantha Seip is our teaching assistant and one of CS#1's movement instructors. Her classes focus on the joy of movement and developing control of the body in motion. Students are offered the opportunity to work on basic choreography skills while integrating concepts from science, math, language arts, and social studies. Samantha began her education as a student at CS#1 (then called PS#1). She graduated with her B.A. in Anthropology and Sociology from Truman State University in 2009. Samantha began teaching creative movement at City in Motion School of Dance in 2002 and taught ballet at the local dance school while studying at Truman. In college, Samantha also worked as a paraprofessional providing individualized support for a preschooler in a Special Education program. Her work as a teaching assistant in the Anthropology Department of Truman State University helped prepare her for her support role at CS#1. Tara Tonsor is the CS#1 art instructor and comes in twice a week to share her passion with the students. Tara works with the students exploring techniques, self expression and art as process, and brings in other Kansas City artists to share their creations and techniques. Often found in the middle of a group of students cutting, drawing, pasting and critiquing, she is a hands-on teacher with an infectious enthusiasm. When not at CS#1, she works as an art educator at The Nelson-Atkins Museum of Art Ford Education Learning Center. She has been with the Nelson for five years specializing in early art education, and altogether Tara has worked with children and the arts for over ten years. 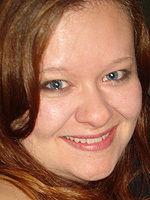 Tara is also a freelance illustrator and designer, and avid jewelry artist. Tara's design experience includes working with Fencepost Productions designing a variety of men's leisure apparel, with Jill McDonald Design creating a line of children's clothing and textile patterns, and as a product designer with work featured in Pottery Barn, Babies R' Us, and Target.